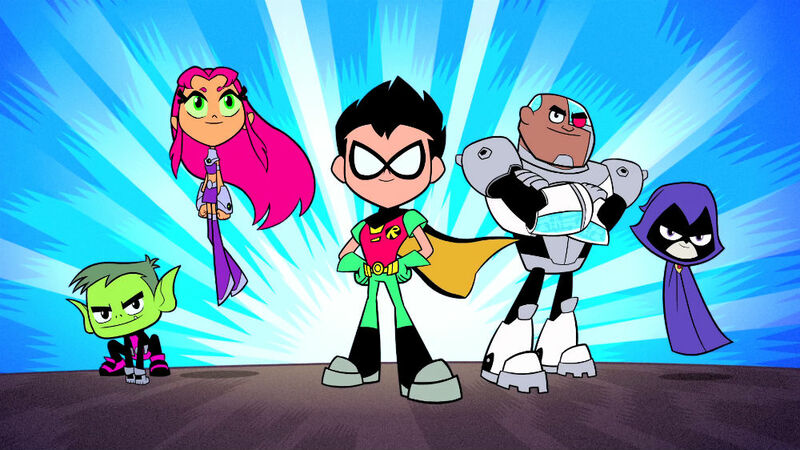 Tuesday night marked the premiere of “Teen Titans Go!,” a spin-off of the 2000s “Teen Titans” series. Unlike the original show, which had humorous moments occasionally, “Go!” is fully comedic. Each half-hour of “Go!” consists of two 11-minute-long episodes. Despite the show’s title, there’s no relation to the “Teen Titans Go!” comic book based on the original series. The animation and writing style resembles the “New Teen Titans” animated shorts produced for “DC Nation.” Like those shorts, the Titans are drawn in a cuter, more cartoonish style (most noticeable with Raven), plus an emphasis on comedy, though the Titans see some action in tonight’s first short. The one flaw I see so far is the mediocre Flash animation. I admit I’m not wild about Flash animation to begin with, preferring a more traditional animation style. I presume saving money is the only reason TV’s jumped heavily into Flash animation over the past decade, with most of said shows not bothering to make it look like the better-animated Flash series (“6Teen,” “Total Drama Island,” etc.). On to tonight’s episodes. Yes, SPOILERS ahead. Plot: To get the other Titans out of her hair, Raven sends them on a quest across the globe (and galaxy) to collect ingredients for a legendary, powerful…sandwich. Robin’s “quest”… at the supermarket. Right down to a hard-to-turn front wheel on his shopping cart. The “My Little Pony” bits. Raven’s a fan (complete with DVRed episodes)…who knew? Raven’s mystic (and anti-climatic) assembly of said sandwich. Plot: Beast Boy gets a job at Mother Mae-Eye’s pie shop to raise money to buy a video game for Cyborg’s birthday. The darker side of Mother’s pie shop. The closing moment with a uniform-torn-to-bits Robin. I liked the first episode more than the second, but this one had its enjoyable moments.